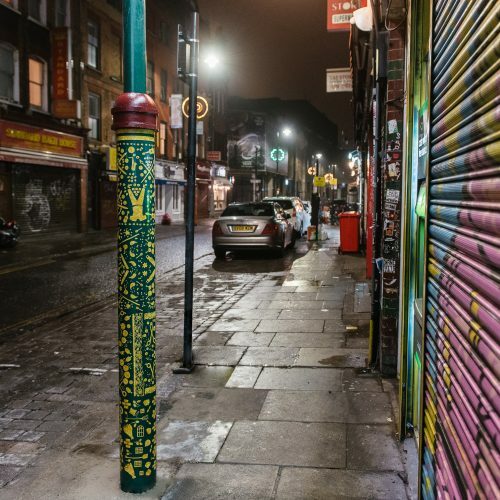 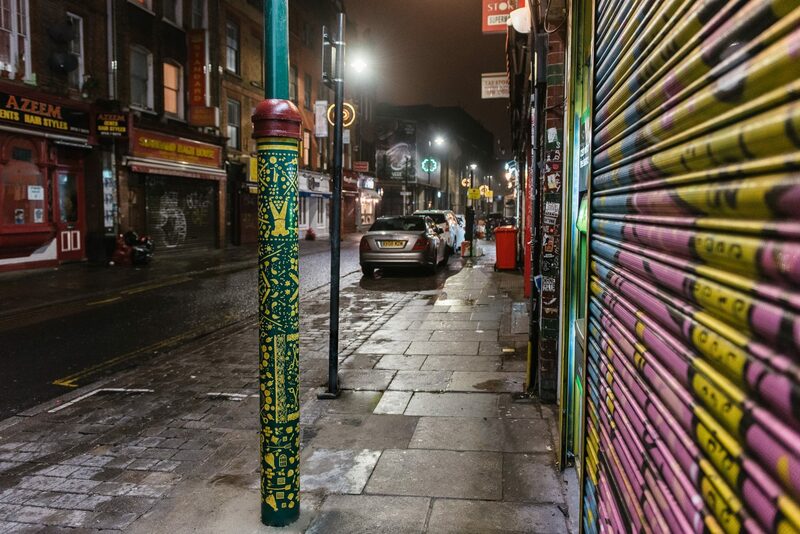 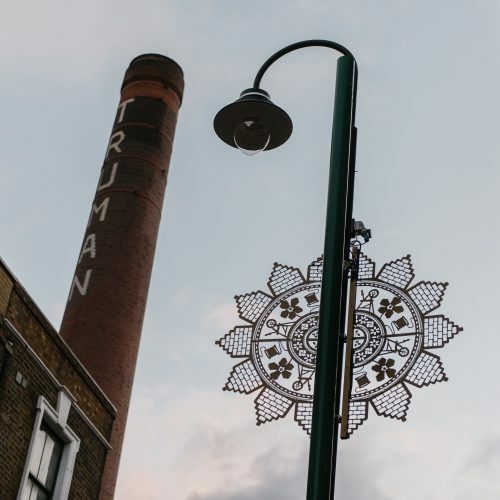 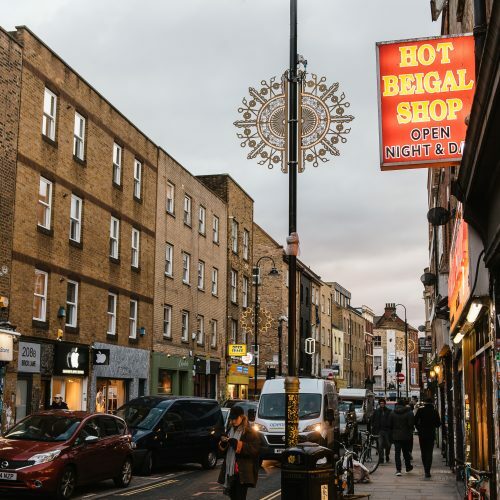 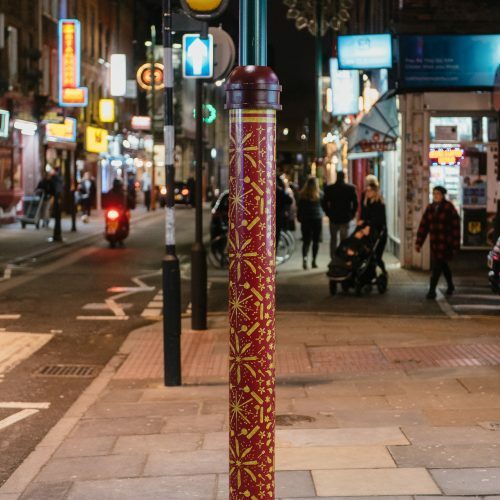 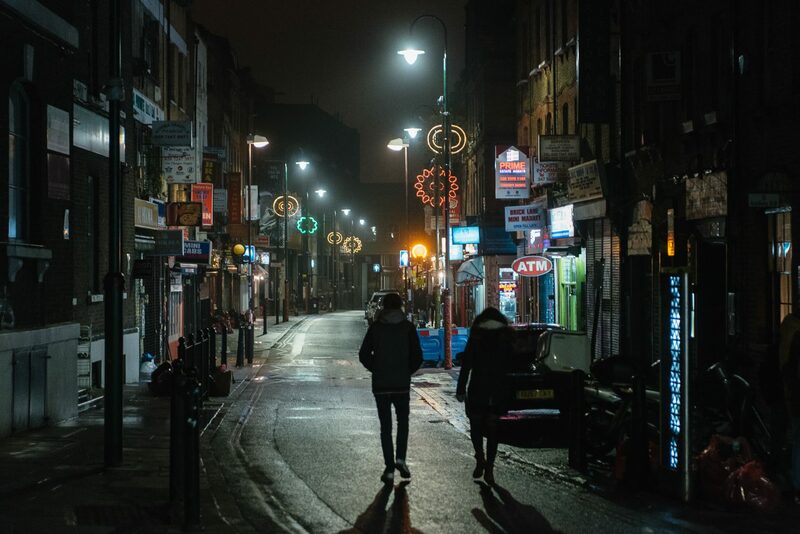 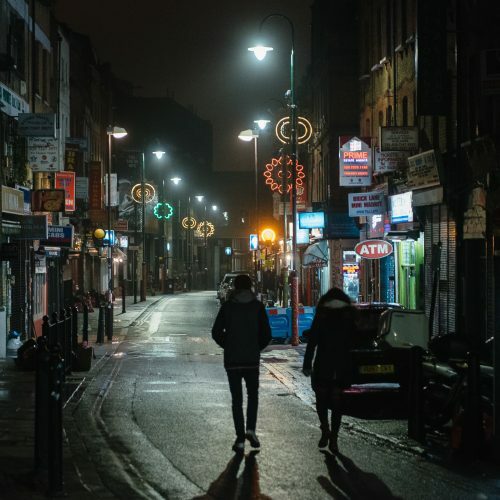 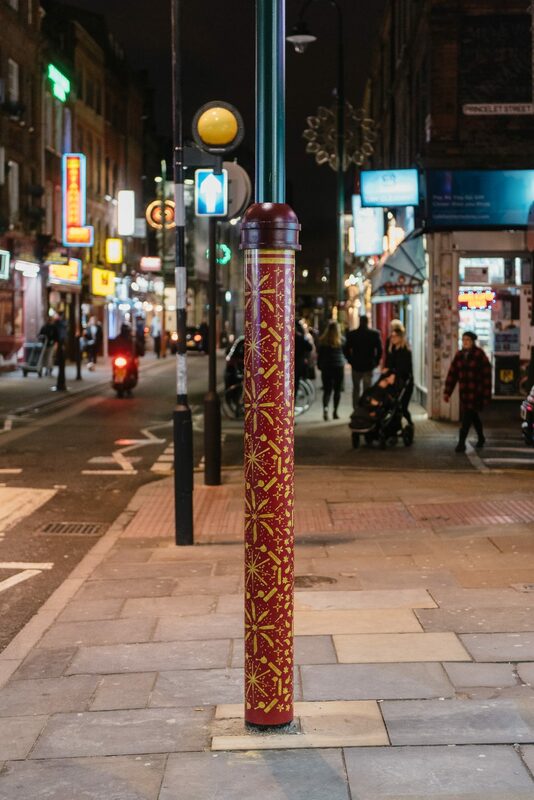 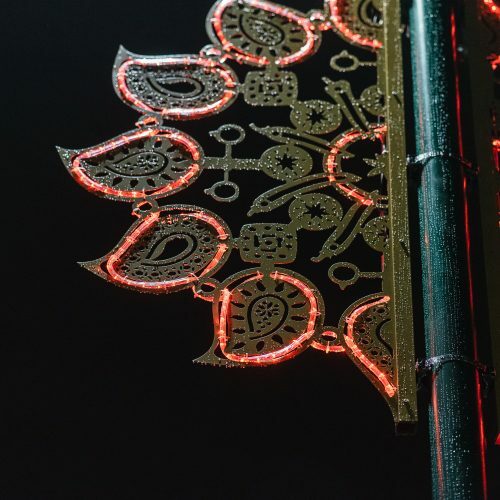 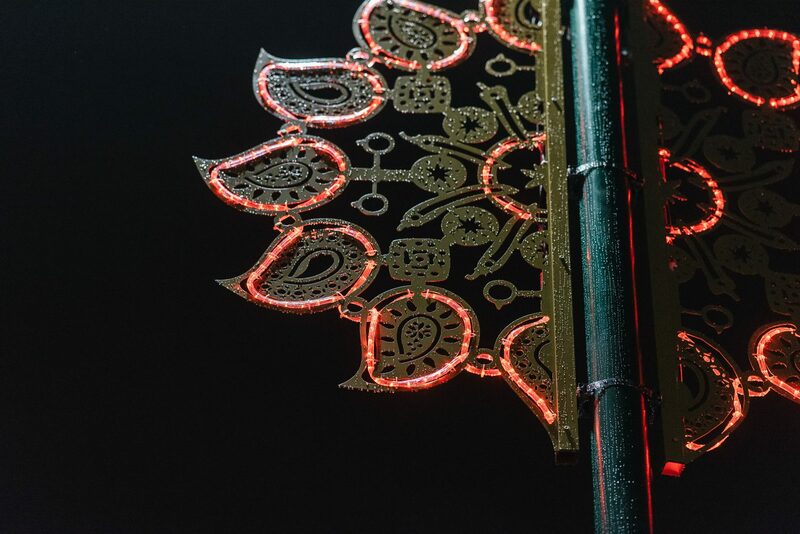 Tower Hamlets commissioned us alongside lighting designers Michael Grubb Studio to work with local schools to develop artwork for 48 new street lamps along Brick Lane. 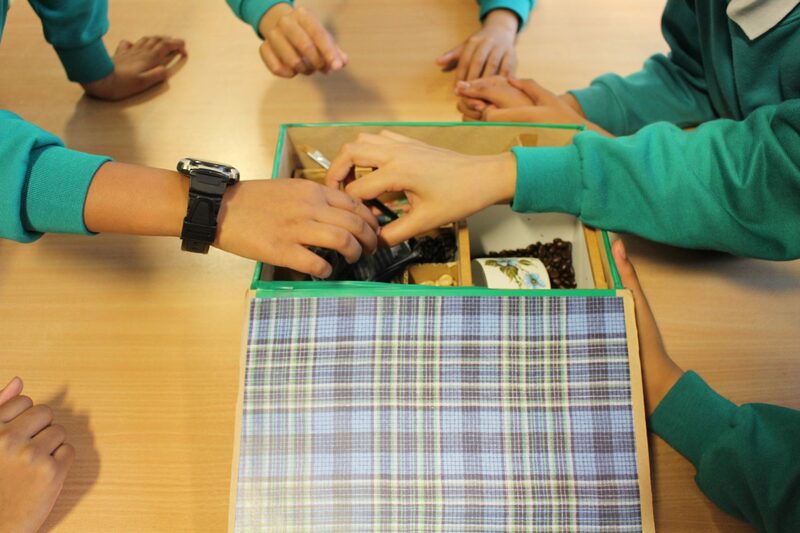 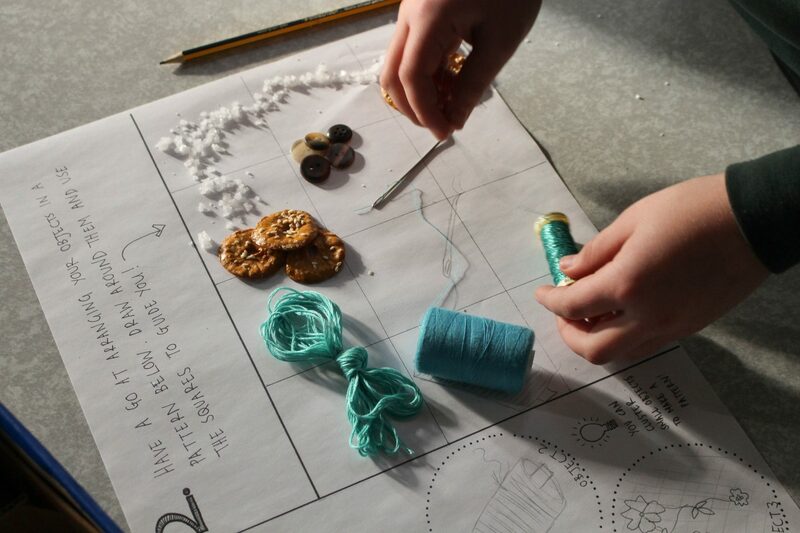 Taking inspiration from four local cultural eras we ran three workshops with schools in the area to codesign pat. 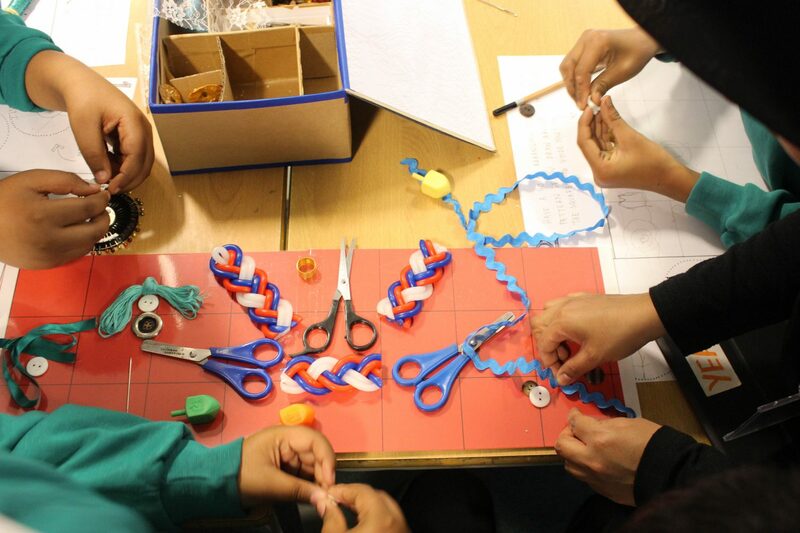 Within these workshops we created different sets of patterns, which were transformed into artworks. 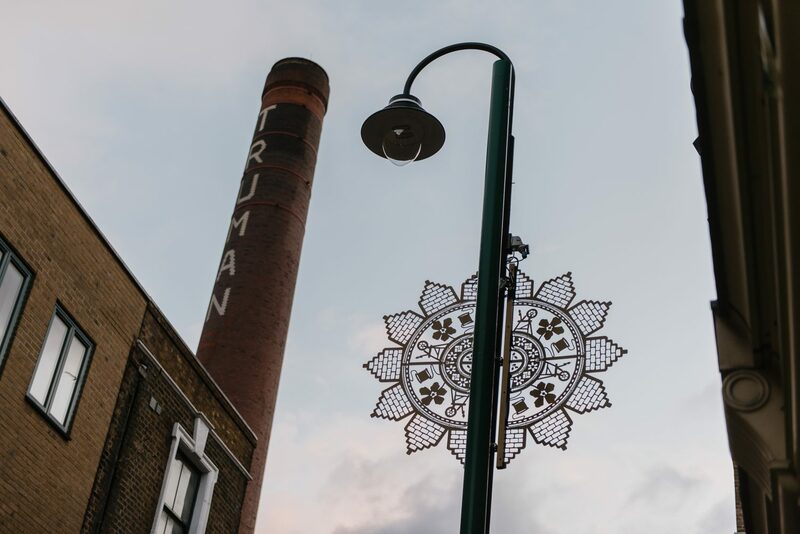 These were then used on the base of the lamp posts, and five illuminated metal disks that are fitted to the top of each of the posts. 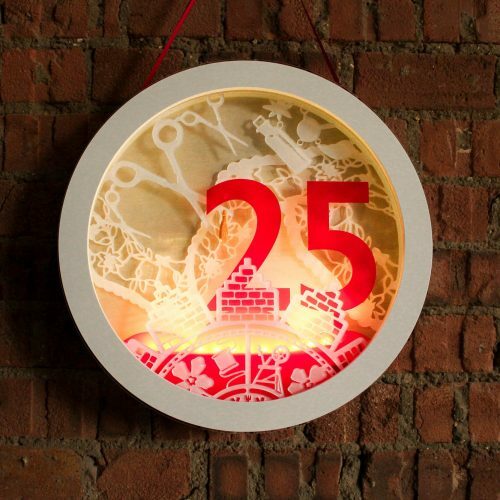 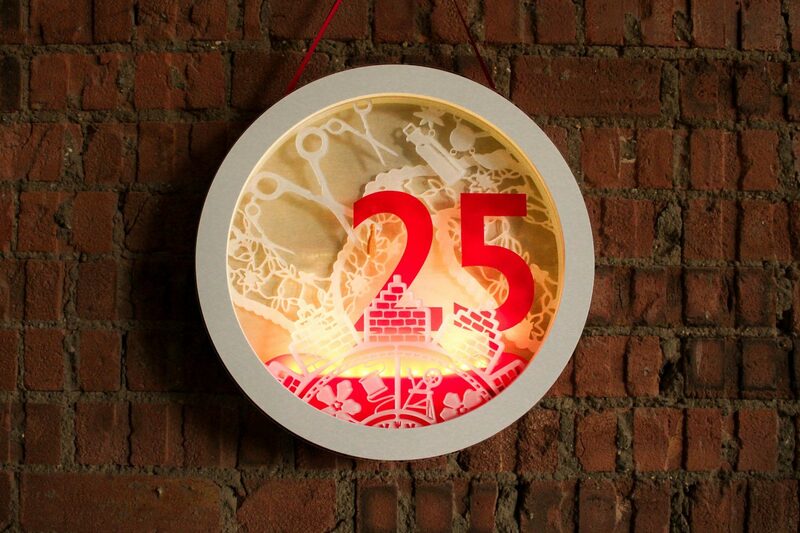 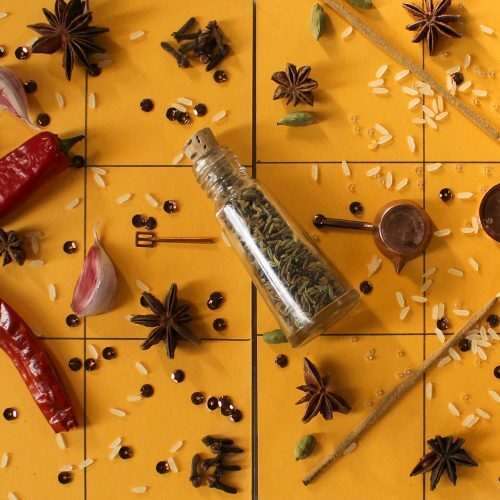 We also produced a Festive Advent Countdown Calendar using the visual motifs from the history of Brick Lane. 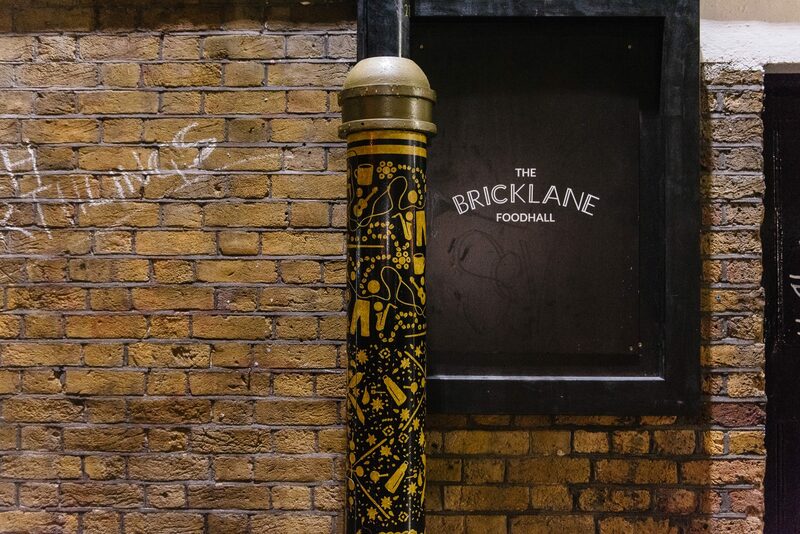 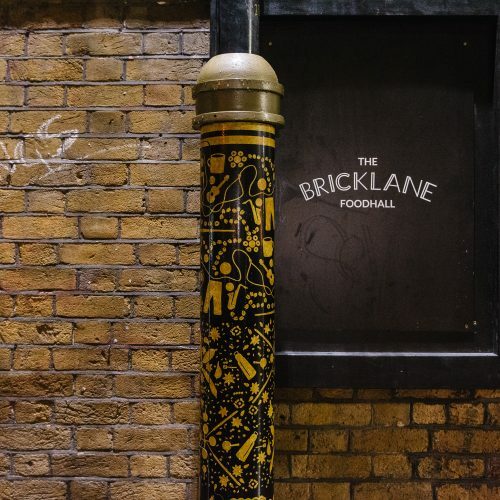 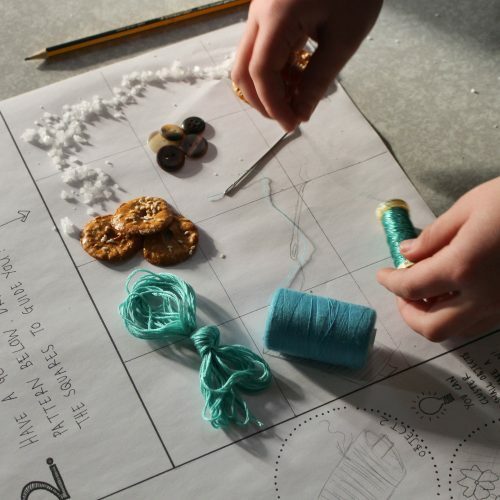 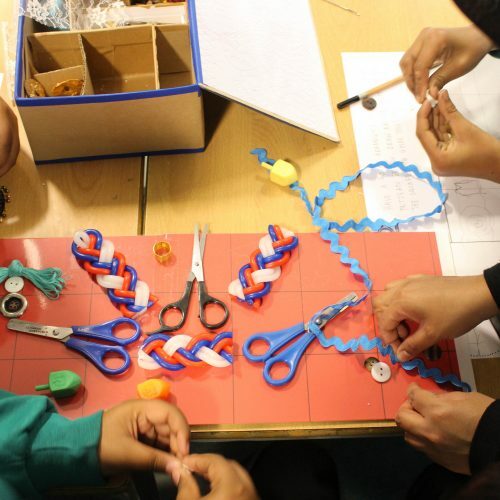 We devised a workshop approach that used the history of the area across four different eras to create artwork that reflected Brick Lane’s past and present. 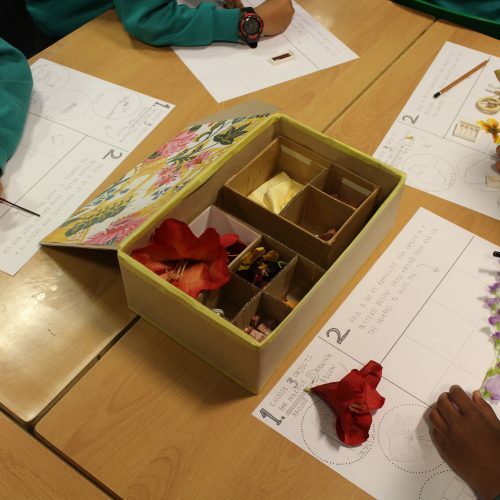 Through research we created a selection of miniature shop fronts to reflect the different eras and filled them with objects that represent a historical narrative from the different eras. 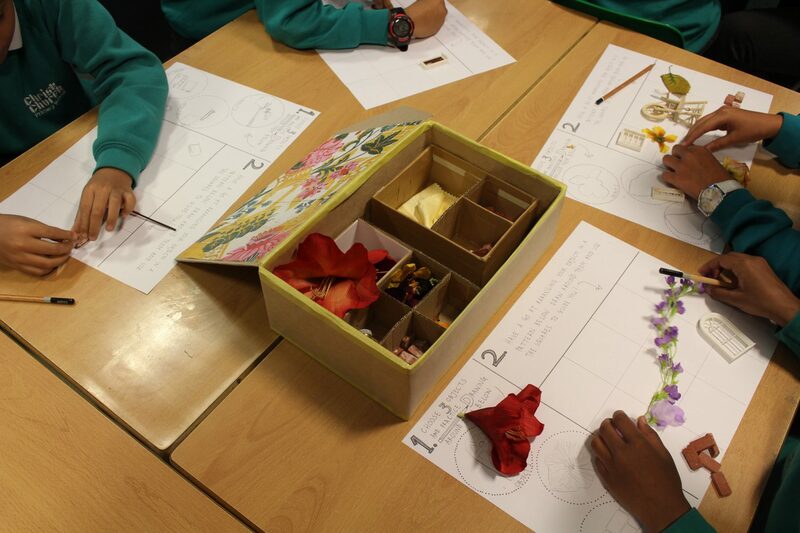 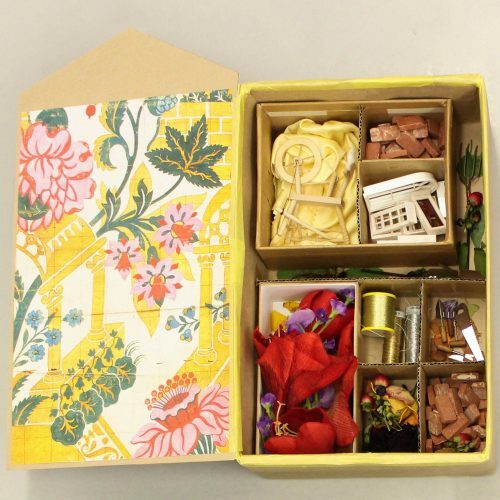 For example, the Huguenot era contained silk weaving, building and gardening materials. 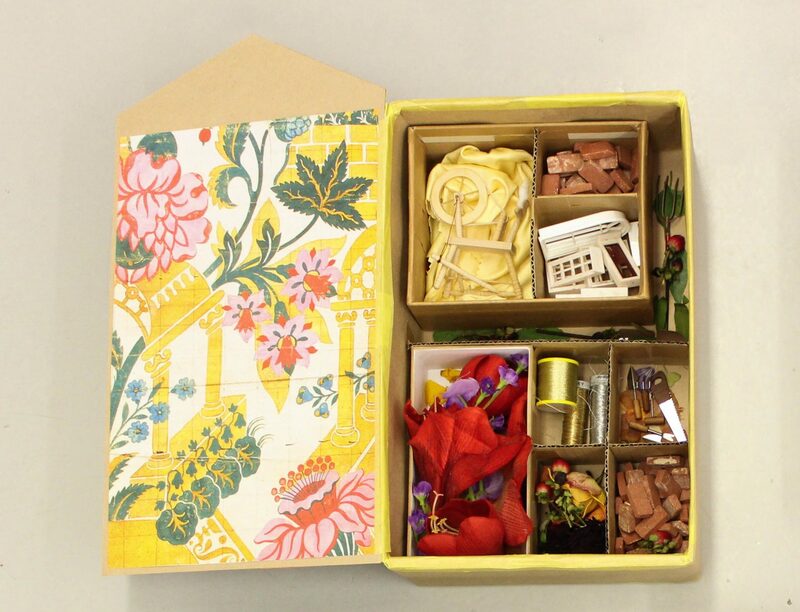 The Jewish era box housed elements including tailoring tools and mini beigels. 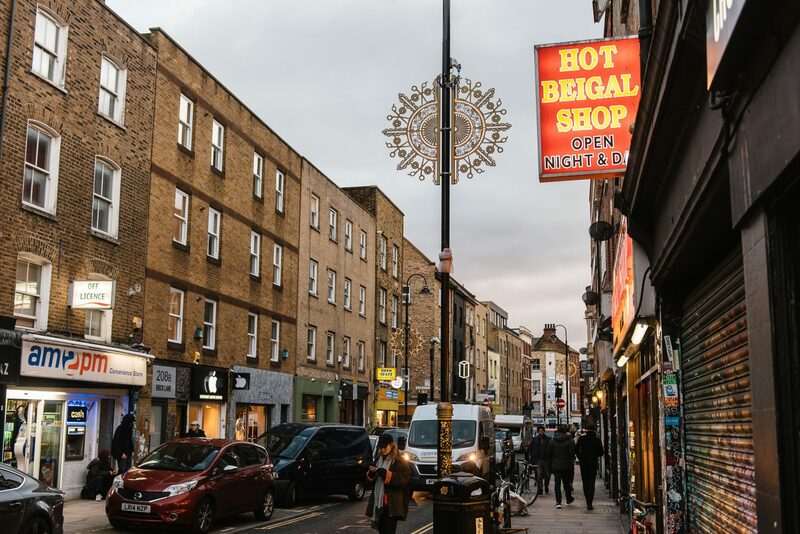 The Bangladeshi case was home to spices and cooking utensils, and coffee beans, instruments and vintage clothing represented the present day café and shopping culture.